Today at 10:30 am, reporters and photographers from under 10 media outlets (including Glitzburgh!) 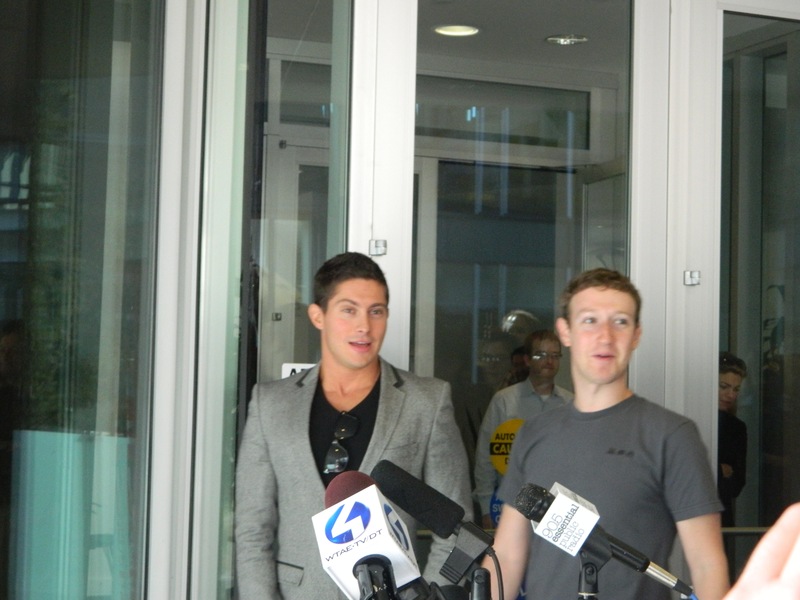 attended a private press conference with Mark Zuckerberg, CEO and Founder of Facebook. 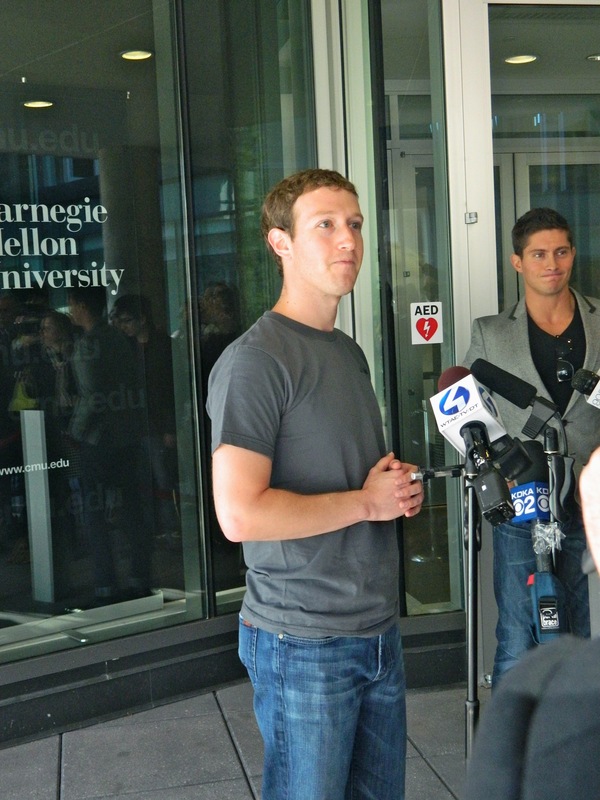 The press conference was held on the patio outside of the Bill Gates Center for Computer Science on the Carnegie Mellon Campus in Oakland. 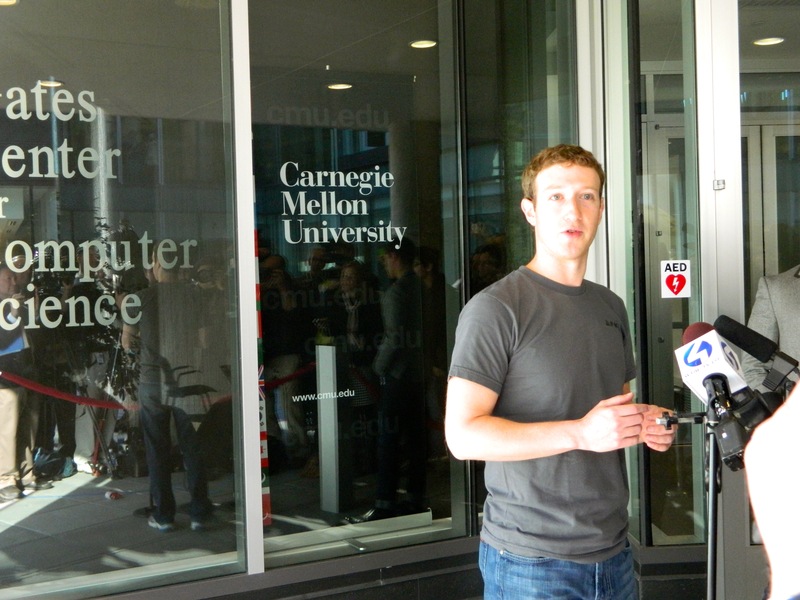 This is Zuckerberg’s first trip to Pittsburgh, and he said he that he liked it here. 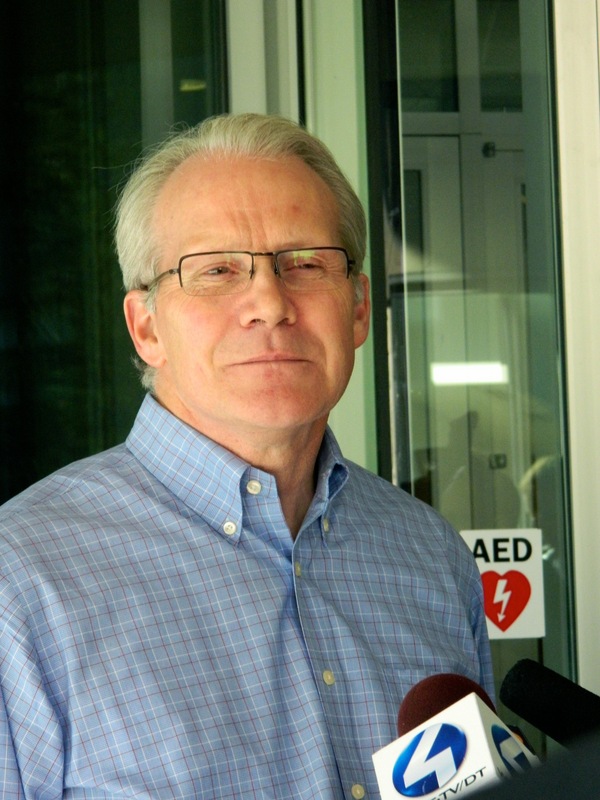 The brief press conference preceded a speaking engagement and recruiting session to be held later today for an invite-only audience of CMU students. Though the event itself is closed to the public and to media, Zuckerberg — known to be a bit shy and introverted — entertained a few questions at this morning’s gathering, which, unfortunately, lasted for under a minute, during which time he was pleasant but seemed a little nervous. He concluded with the fact that CMU engineers are, “really smart” and “have a good work ethic” before waving to those of us in attendance and turning to leave. 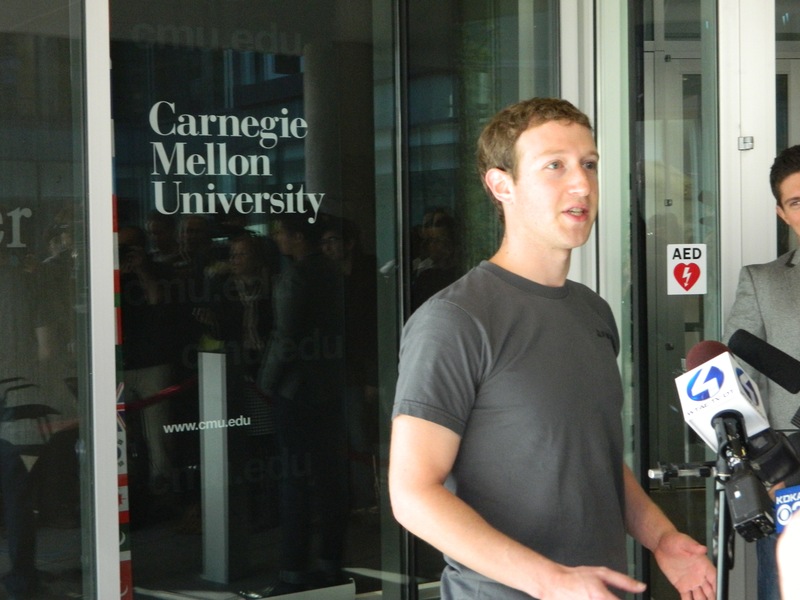 Zuckerberg will tour the Carnegie Mellon campus before his speech and recruiting session this afternoon. Dean of the Gates School of Computer Science, Randall Bryant, also spoke at the press conference. 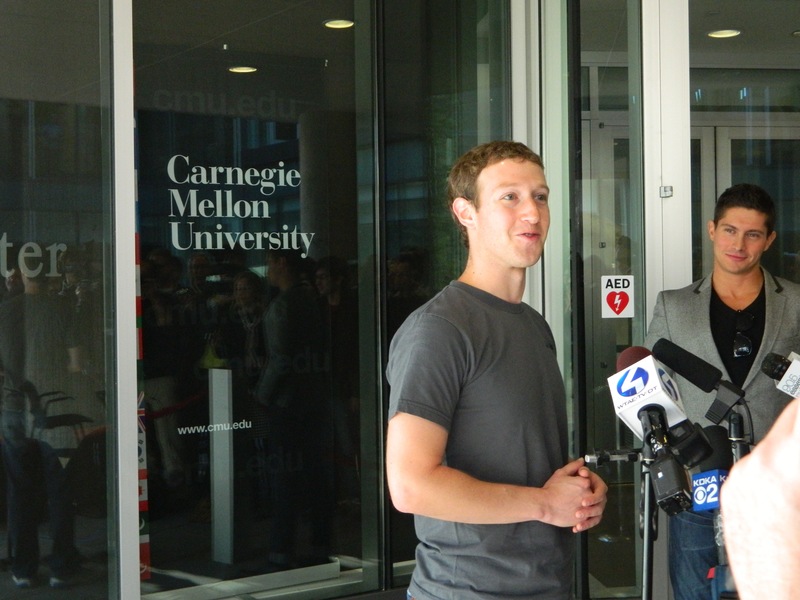 He shrugged off questions about a potential Facebook research center in Pittsburgh, and stated that media would not be attending the event today because it is solely for the recruitment of CMU students to work at Facebook. 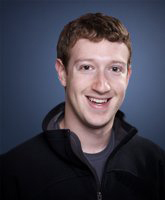 In a press release issued earlier, Brant stated “we are very excited by the prospect of hosting a visit by Mark Zuckerberg. Facebook has profoundly changed the nature of social interactions worldwide. Supporting these interactions requires massive information processing capabilities, for which Facebook has become a leader in advanced computing technology. You can view video from the press conference on Glitzburgh’s YouTube Channel or below. Also check out photos, below. Enjoy! 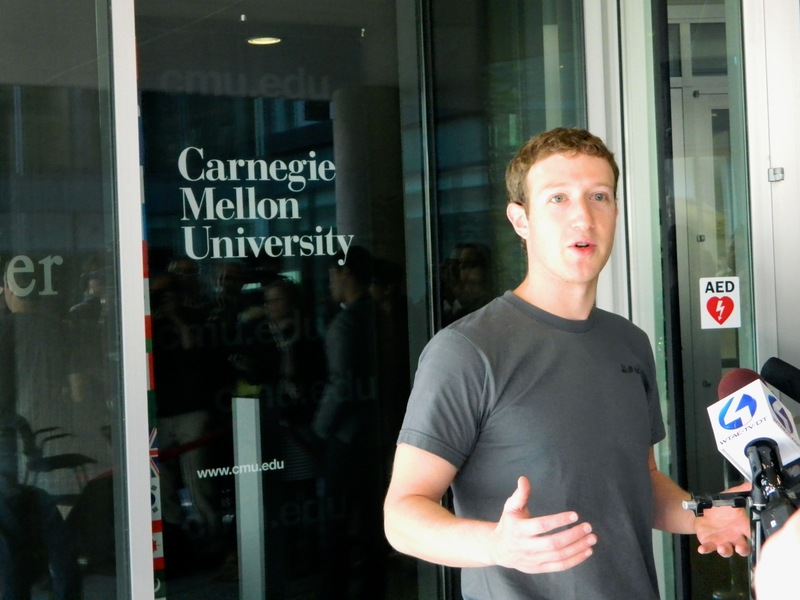 And welcome to Pittsburgh, Mr. Zuckerberg!